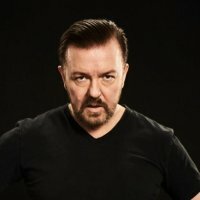 Ricky Gervais Announces a Lovely Pair of Bristols - Two Nights Available Now for March 2010! Ahead of comedian Ricky Gervais' forthcoming Worldwide Science Arena Tour, two more UK dates have just gone on sale. In addition to Oxford (still available - £31), Manchester (still available - £30), Cardiff (still available - £30) and of course Wembley Arena (sold out apart from April 28th - £32.50), Bristol joins the Science 'lesson' being taught hilariously by the hottest property in humour right now. Last week two "preview" dates were announced at the Arts Depot in London, but those tickets have long since sold-out. He will play the Colston Hall in the city on March 15th and 16th with tickets now on sale for £30 (plus fees). It's likely these will fly out, seeing as the gigs are in just 5 weeks. Gervais recently upset a few people at the Golden Globes, namely Mel Gibson with digs about his alcoholism, but Gervais will no doubt be concentrating on his tour as well as an upcoming film, 'Cemetery Junction'. Set in Reading, the film is a down-to-earth comedy about two building-society clerks who 'come-of-age' and stars Julia Davis, Ralph Fiennes, Emily Watson and Gervais himself as lead character, Len Taylor.